Salt has a bad rap. When people talk about the horrible effects of salt on the human body, they are absolutely correct, but they are referring to processed table salt. In the video, it’s the one on the far right, the one that I do NOT use in my cooking at all ever. This guy RARELY uses it, simply because it’s the LEAST tasty of the salts. That’s reason enough right there! But wait, is it bad for you? Yes, it’s really really unhealthy to eat toxic table salt on a regular basic or in large quantities. 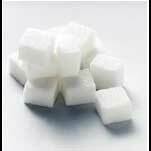 Like processed sugar, it has just become ubiquitous and accepted as the norm, but that doesn’t mean it’s a good thing. Like microwaves, it’s insidious really. How these things have become “normal” and “OK” to use, is a topic for another post, but you can be sure it’s all about money, not your health. Table “salt” is made by taking natural salt (such as crude oil flake leftovers) and heating it to 1200° Fahrenheit. During this extreme process, the chemical composition is drastically altered and all of the nutritional benefits are completely obliterated. This is about as far from a “raw” food item as you can possibly get. 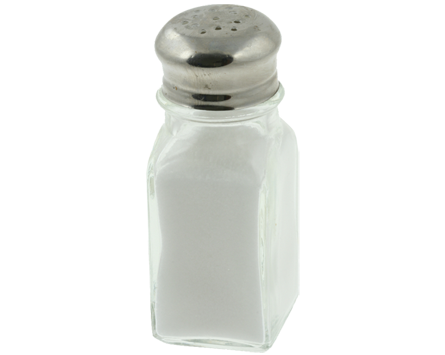 If you’re trying to go raw, conventional table salt is NOT raw folks. If you’re trying to avoid processed foods, this is one of the worst ones. It’s like slathering your bread with margarine instead of butter. Big huge difference in both taste and health benefits. Of course it depends on the butter as well since there are many types of butter and some are not much better than margarine, but you get the idea. Conventional processed table salt usually contains anti-caking agents and often many other things you really don’t want to eat but the worst thing is that it is heat processed and stripped of it’s natural trace minerals. Remember, minerals are more important than vitamins. STRIPPING away ALL the minerals by processing at high heat is like microwaving your food. It’s dead food. Dead food is bad, living food is good. Eat living food, not dead food. You will live longer with a higher quality of life. If that stuff matters to you, you might want to switch to the good stuff. Here’s some of the really GOOD stuff. Imagine, salt that is actually GOOD for you! Even healthy! Oh one more little thing you should know. These raw sea salts I’m listing are DELICIOUS. Once you start eating these salts, you really can’t go back. People will find you picky or worse a snob, until THEY taste it. It’s like the difference between fresh squeezed orange juice and orange soda. It’s like the difference between butter and margarine. It’s the difference between high mineral content, and zero mineral content. I’m surprised more restaurants aren’t switching over. Some restaurants use what’s called “Kosher” sea salt, which may or may not be great, but is certainly better than processed table salt. MSG and/or white processed sugar to help stabilize the iodine. This fake salt puts people at risk of developing cardiovascular issues and chronic disease because of elevated blood pressure and arteriosclerosis. Yes, very bad news and if you eat a lot of restaurant food, that’s what you’re eating most likely. It’s true, if you are eating crappy salt, it is in fact a really unhealthy decision. Typical table salt crystals are totally isolated from each other. In order for your body to try to metabolize table salt crystals, it must sacrifice tremendous amounts of energy causing a serious drain on your metabolism and reducing the available energy for little things like healing and detoxification, which do require energy. When your body tries to isolate the excess salt you’re typically exposing it to when you eat out at that amazing new restaurant, water molecules must surround the sodium chloride to break them up into sodium and chloride ions in order to help your body neutralize them. To accomplish this, water is taken from your cells in order to neutralize the unnatural sodium chloride. Dehydrated cells are unhealthy cells. Cells need to be properly hydrated folks, and processed table salt isn’t going to help matters. Raw sea salts such as Celtic Sea Salt®, Himalayan sea salt or Icelandic sea salt have many very important health benefits and should be understood as a completely different food item. These are ACTUAL raw foods with high mineral content. Essential and critically important minerals.s You should be eating this every day and here’s why. Sufficient sodium levels that help balance your sodium-potassium ratios. Extremely powerful electrolytes like magnesium. Trace elements required for proper adrenal, immune and thyroid function. Digestive enzyme enhancers assisting your body with absorbing more nutrients from the foods you eat. Himalayan crystal salt is the purest salt available on the planet according to some. With a history dating back to Earth’s creation, it is believed to be composed of dried remnants of the original, primal sea. The salt fields of Brittany are lined with a natural layer of clay and sand…. In order to harmonize the trace elements, the hand raking of the moist crystals is done by artisans with a skillful touch. The method is followed by a dedicated group of professional natural salt farmers in Brittany, who perpetuate the traditional skills that have been passed down through generations from antiquity. When harvested in these ways, natural Celtic sea salts are highly beneficial to one’s health as they possess many therapeutic qualities. Last but certianly not least, this is actually my favorite. Icelandic sea salt. It’s hard to pick a favorite because Himalayan Pink Salt, Celtic Sea Salt and Icelandic Sea salt are all incredibly delicious when compared to processed salt. Processed foods just never taste as good once you discover the raw version. Of course, as with most things in nutrition, don’t OVER do it. Too much salt can be bad, any kind of salt, but if you ARE going to use salt, get the top shelf stuff. The good stuff with minerals intact! Get ANY of the salt products I have listed for sale on this page, ANY of these are absolutely amazing. The most amazing part is how much you will love the taste, over time it’s almost like you love it more and more. You really can taste a difference, more and more as time goes by. Maybe it’s a DEPTH of flavor that is so far beyond the dead table salt we’re all so used to, it’s almost like a black and white movie suddenly becoming full color. Yea, it’s like THAT. Folks: It’s unhealthy to eat toxic table salt but raw sea salts such as Celtic Sea Salt®, Himalayan or Icelandic sea salt have many very important health benefits called minerals. More important than vitamins. Plus they are delicious! Above all, remember to stay hydrated. Drink plenty of high quality water each day (I prefer distilled water). Salt will DEHYDRATE you if you are not drinking fluids you can become quit ill. No matter which salts you are using, be sure you drink PLENTY of water each day. Water is even more important than salt, be sure you get PLENTY of water. If you are in the dessert and you are dying of thirst do NOT eat salt. If you are working out and you are extremely thirsty, do not eat gobs of salt. I know common sense, but I just had to add this part about water. Drink it. Drink plenty, THEN make a salt comparison if you want. Raw sea salt vs table salt. In conclusion, if you are very thirsty, or dying of thirst, do NOT play with salt. If you are cooking up a delicious meal, then play with salt by all means and you too will discover the difference.